Using a paver sealer is a great way to protect your paver surfaces from external elements. We all know how Mother Nature can contribute to creating mold, weeds, moss, and dirt. With water damage and sunlight, you are sure to experience a fading and discolored surface no matter what. That's why there are hundreds of products available to counteract this problem. Paver sealers not only take care of unwanted stains and moisture but also preserve the actual appearance of your paver by sealing the surface. A few brands also manufacture solutions that add more to the existing beauty of your paver for bringing out the hidden tones of a surface. There is a wide range of elements that penetrate or hold to the surface. These include water, dyes, oils, and grout. That's why a plethora of products are now available in the market to beautify any surface of tile and stone. As the name suggests, a sealer seals the surface against all harsh elements including contaminants and chemicals. Sealers are not vapored permeable and guarantee excellent results for keeping tabs on maintenance costs and renovating expenditure. Sealers can be water based or solvent based. Most water based sealers are for external concrete use. If you want to keep your paver fresh and vibrant throughout the year, a ‘wet look' paver sealer does a great job of maintaining its original finish. 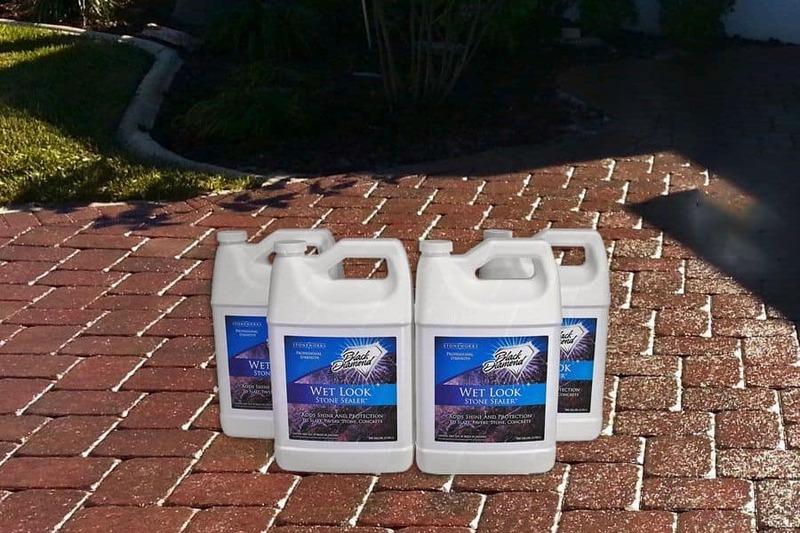 Sealers fill tiny spaces within the brick or concrete to block moisture transmission. Investing in a suitable, quality sealant goes a long way to maintain the look of your paver and to extend your concrete's life. In most cases, the process does not require extensive equipment or skilled expertise. If you have purchased an easy to apply sealant, then it may take just a day or even less use it. Black Diamond is a trusted name in the industry that has satisfied clients in over 50 countries. The Wet Look Sealer is a proud creation by from the brand’s top-notch Stoneworks’ product-range, dedicated to cleaners and natural stone sealers. The sealer is designed to create an impressive wet look and has garnered massive popularity among people who are looking for affordable solutions to protect their pavers. It strengthens sand joints between each paver and successfully reduces weed and moss growth to preserve the brick against sand erosion. Manufactured in the USA, the Black Diamond Stoneworks product is designed and tested by only skilled professionals. The sealer passes premium quality checks to provide all natural stone and cement surfaces with a glossy finish that is guaranteed to last. This sealant is used for both interior and exterior applications to offer stiff resistance to chemicals and a wide range of external elements. 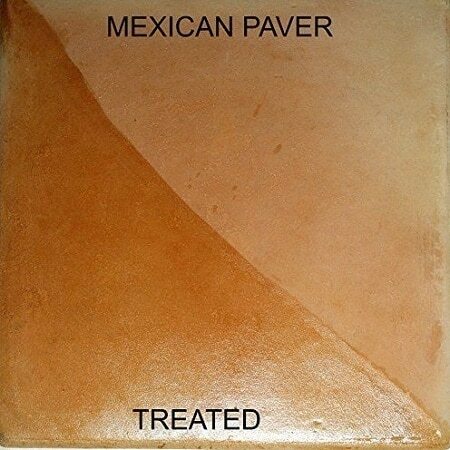 You can protect your paver from everyday wear and tear, UV ray damage and chemicals by applying this robust solution. It ranks as one of the top-rated sealants for guarding slate and natural stone surfaces. Moreover, it also works on other kinds of masonry surfaces to add a lustrous shine without any yellowing effects. The sealant delivers long-lasting results without darkening a surface. 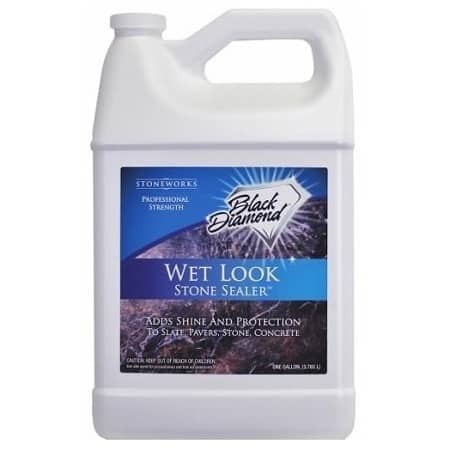 The Black Diamond Wet Look Sealant is convenient to use and is manufactured to cover a natural stone surface of 600 square feet. Users can apply the sealant using a paintbrush or roller or without any complications. The sealant is easy to apply and allows the user to spread it evenly for a smooth application. It takes 20-30 minutes for the sealant to render a shiny and lustrous and helps the stone’s actual color to come out in the end. The product is ideal for use on all natural stone surfaces outside and even on the fireplace brick inside your house. You can also use it on a copper sink to restore its color and shine. There is nothing that can go wrong when you purchase the efficient Black Diamond Stoneworks sealant to prolong the life of your surfaces. Consumers trust Black Diamond for its impressive range of products that help homeowners add more value to their home. Customers who have invested in this product are delighted with its performance. The sealant provides strong resistance against all external elements to maintain the natural look of your stone surfaces throughout the year. It works better than other conventional products offered at the same price. That is safe and easy to use a sealant that provides excellent protection and long-lasting results. If you are looking for an affordable yet high-quality wet look stone sealant, the Black Diamond Stoneworks Sealant provides unbeatable results. 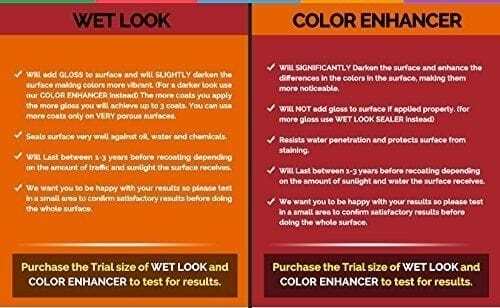 That is a great solution to choose if you don't want to buy multiple products for different types of surfaces since the Black Diamond Wet Look Sealant is manufactured to work with different kinds of stone surfaces. The sealant has collected several positive reviews from hundreds of customers. If you want to protect your natural stone surfaces with a safe and non-toxic sealant, order this water based sealant today for just around $65 with free shipping. Although every brand claims to produce the best sealants to protect your pavers, there are only a few that live up to the claim. Unlike, other conventional sealants are for interior or exterior applications, the Black Diamond sealant is for everyone who needs a single solution for both types of applications. Black Diamond Stoneworks Wet Look Natural Stone Sealer delivers excellent results in just 24 hours while the surface is ready for light traffic in only eight hours. That is a great product to purchase if you have young children at home or don't want to disrupt your daily life.